There are four floors in a building as ground floor is numbered one and above it is two and so on up to top floor numbered as 4. Each of the floors consists of 3 flats as flat – 1, flat – 2 and flat – 3. Flat -1 of floor 2 is immediately above flat – 1 of floor 1 and immediately below flat -1 of floor 3 and so on. Similarly for flat – 2 and flat – 3. 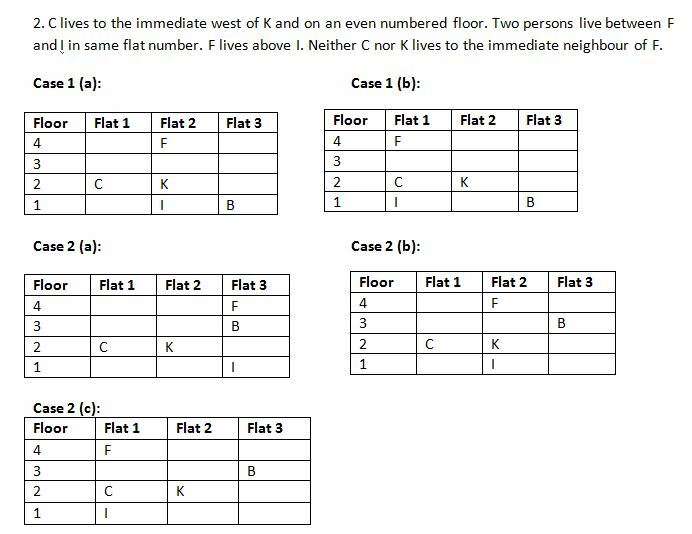 Twelve persons A, B, C, D, E, F, G, H, I, J, K and L lives in different flats of different floors and all are sitting in a straight line facing north. Only one person lives in one flat of one floor. Only one person lives in between E and G in the same flat number. 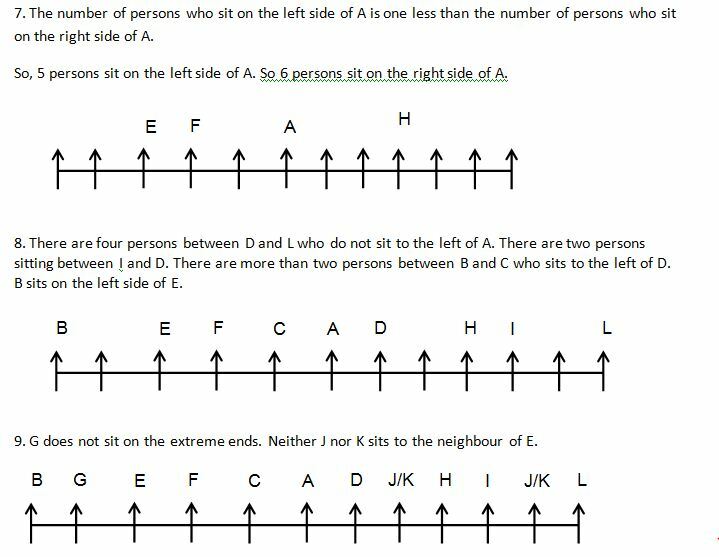 The number of persons who sit on the left side of A is one less than the number of persons who sit on the right side of A. H lives on an even numbered floor. D lives in the immediate east of E. C lives to the immediate west of K and on an even numbered floor. There are more than two persons sitting between B and C who sits to the left of D. B sits on the left side of E.
No one lives to the east of B who lives on an odd numbered floor. G does not sit on the extreme ends. There are four persons sitting between F and H. Two persons live between F and I in same flat number. There are two persons sitting between I and D. Neither J nor K sits to the neighbour of E. F lives above I. There are four persons between D and L who do not sit to the left of A. 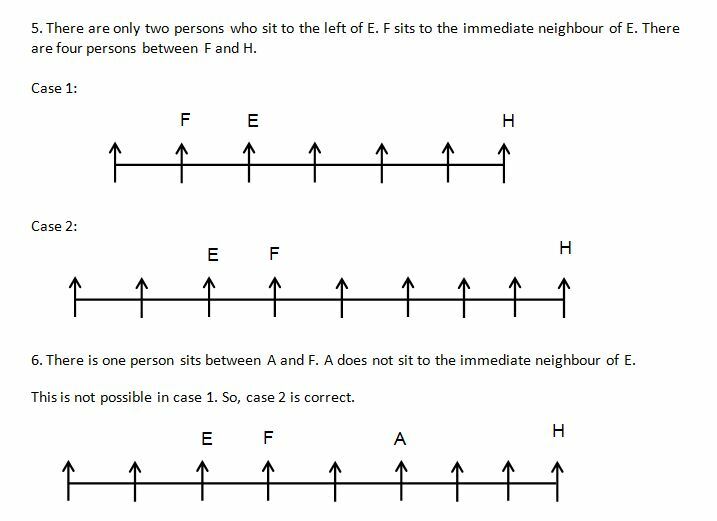 Neither C nor K lives to the immediate neighbour of F. There are only two persons who sit to the left of E. E lives immediately above K in same flat number. J does not live on same floor on F and D lives. 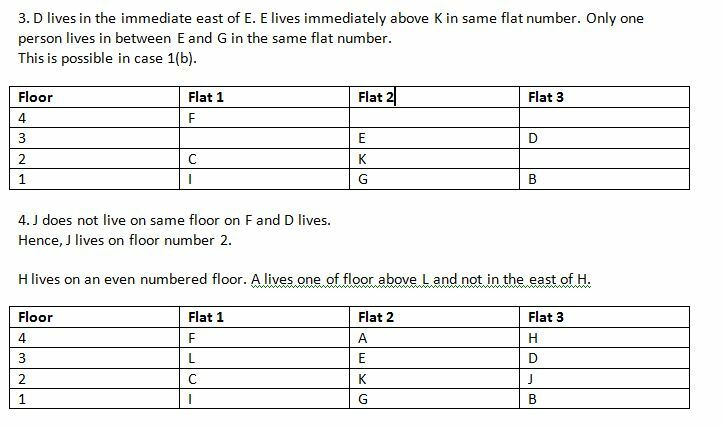 There is one person sits between A and F. A lives one of floor above L and not in the east of H. A does not sit to the immediate neighbour of E. F sits to the immediate neighbour of E.
Who among the following lives on same flat number? How many persons sit between G and H? Who among the following sit to the immediate right of D? Who among the following lives to the immediate neighbour of J? What is the sum of flat number of L and floor number of J? 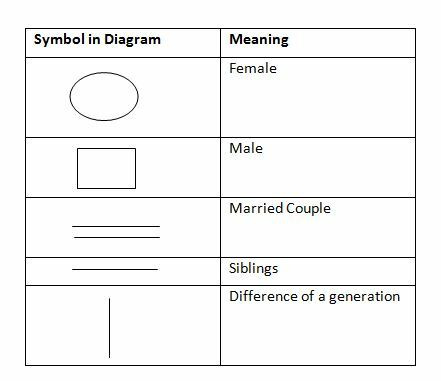 Eight members B, D, F, H, J, L, N and P of a family are sitting around a circular table facing outwards direction and were born in January, April, June and July on either 6th or 10th (all born on different dates). There are three married couples in the family. Each one of them likes different states viz. Bangalore, Pune, Hyderabad, Bhopal, Chennai, Delhi, Mumbai and Patna but not necessarily in the same order. The ones who were born in a month having 30 days like different professions – Engineer, Doctor, Pilot and Teacher not necessarily in the same order. 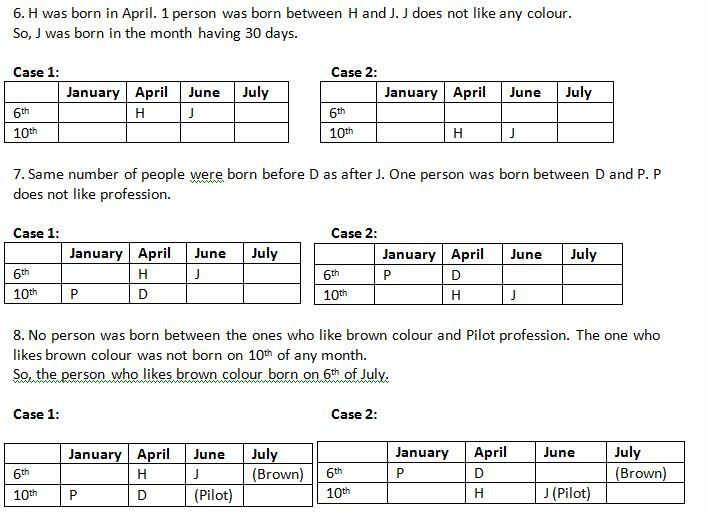 The ones who were born in a month having 31 days like different colours – Black, Brown, Orange, Pink not necessarily in the same order. H was born in April. B who is the father of L sits to the immediate left of the person who likes Bangalore. 1 person was born between H and J. J does not like any colour. L is an immediate neighbour of her aunt P who does not sit next to H. B likes Black colour. Same number of people were born before D as after J. L and N are cousins. No person was born between the ones who like brown colour and Pilot profession. The one who likes brown colour was not born on 10th of any month. F does not like Patna and Mumbai. No person was born between H and one who likes Teacher profession. One person was born between B and one who likes Engineer profession. 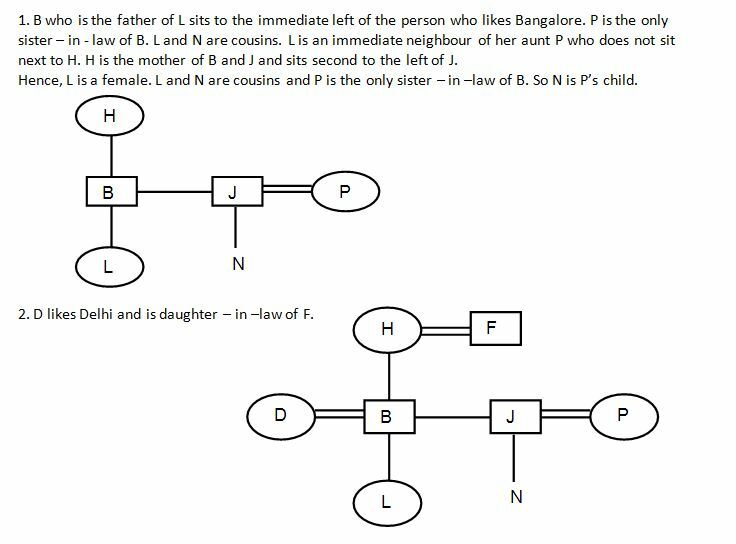 P is the only sister – in – law of B. D likes Delhi and is daughter – in –law of F. D does not like Engineer profession. The ones who like Doctor and Engineer profession were born either on same date or in same month. The two youngest members sit next to each other. 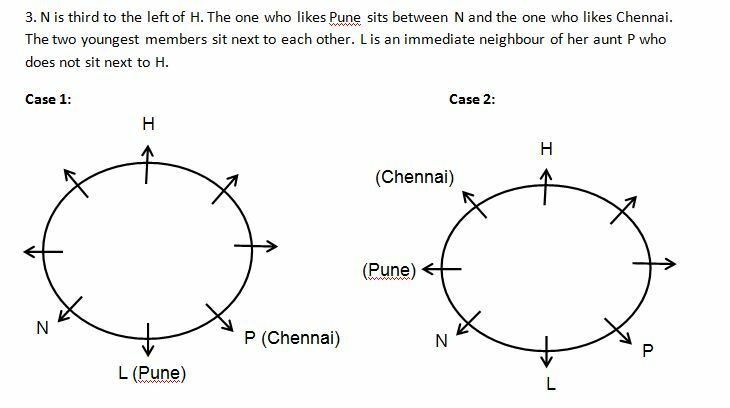 The one who likes Pune sits between N and the one who likes Chennai. N is third to the left of H. P does not like profession. The one who likes Delhi sits between the persons who likes Mumbai and Patna respectively. H’s husband and son sit next to her. Hyderabad is not likes by N’s father. 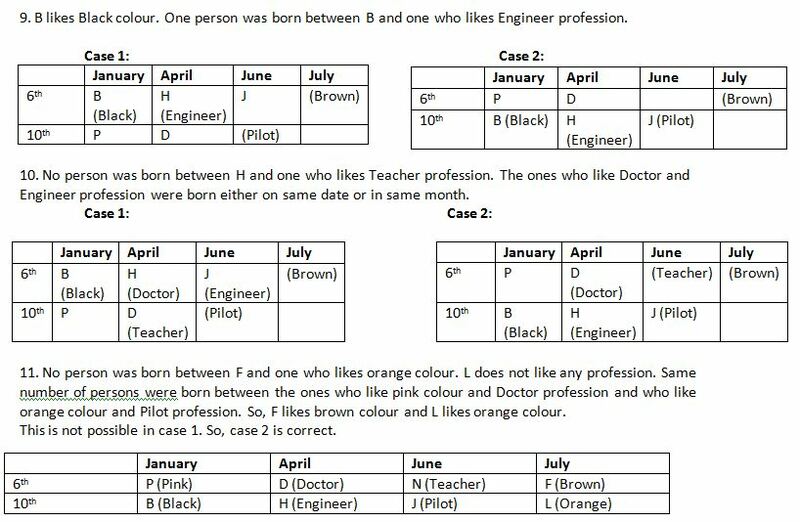 Same number of persons were born between the ones who like pink colour and Doctor profession and who like orange colour and Pilot profession. N does not like Hyderabad and Mumbai. H is the mother of B and J and sits second to the left of J. One person was born between D and P. L does not like any profession. No person was born between F and one who likes orange colour. How is N related to F? Who was born on 6th June? 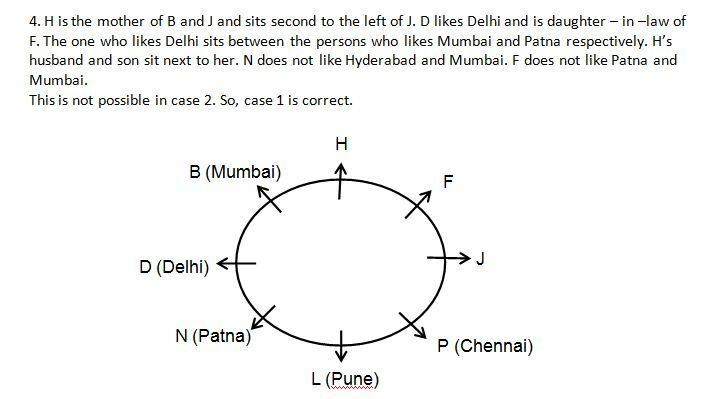 Who among the following sits exactly between P and the one who likes Mumbai? Who among the following likes Hyderabad? How many people were born between B and the one who likes Orange colour?